The fashionable Albariño has been a trendsetter, shining the spotlight on Spain’s white wines. Flashing a medium-full body, aromatic with high acidity, it’s citrus and stone fruit flavors make it a popular thirst quencher. Compared to Riesling for its acidity and minerality, to Viognier for its fleshy peach/apricot character, and to Pinot Gris for its floral bouquet, Albariño is mostly soft and round, with the degree of structure and minerality dependent on where it is grown. The best ones are tangy and mineral, with persistent flavors that linger on the palate. Most Albariños come from the Rías Baixas region of Galicia in northwest Spain, along the Atlantic coast. Galicia is known as “Green Spain”, yet the Rías Baixas area is rocky, with mineral soils on a granite base. It rains frequently here, a misty cool climate that is a blessing and a challenge for the Albariño grape, which makes up 90% of all plantings. Subject to mildew from all the damp weather, often resulting in smaller yields, small growers train Albariño grapes up high pergolas, to minimize the damage, where larger producers use wires, giving the grapes more sunshine and ripeness. These canopies of grapes are harvested by pickers standing on grape bins, a very different experience than in warm climates. Harvested with lots of acidity, and in proximity to the Atlantic Ocean, Albariño is known as “the wine of the sea”, referring to its juicy flavors and slightly salty overtones. Recently, I had the opportunity to taste two different styles, one round and complex, the other with higher acid and green aromas and flavors. The Granbazán Albariño Etiqueta Verde 2015 (SRP $19), 100% Albariño, has lots of personality, floral and highly aromatic with ripe citrus, green apple and tropical fruit, in addition to grassy and white floral aromas due to cold maceration for 8 hours, that extracts this intense aromatic profile. Crisp, elegant, and well balanced, it displays a slight salinity on the finish, and a round texture and complexity from four months of lees aging. Highly rated, and delicious now, this wine’s structure will allow it to age. Granbazán is a hit, so yummy, and a very good value. The You & Me Albariño 2014 (SRP $18), made by Bodegas Vionta, is also 100% Albariño, but intensely green in its aromas and flavors. This is partly due to the 2014 vintage, when late rains and cooler than normal temperatures made it more difficult to ripen the clusters. 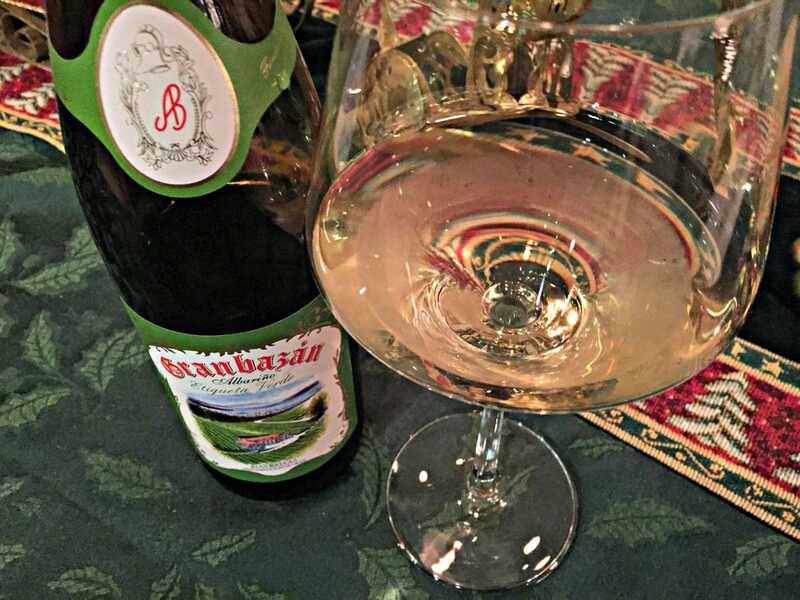 This Albariño is almost Sauvignon Blanc-like, with very high acidity, aromas and tart flavors of green apple, lemon, and lime, and a slightly bitter finish that is characteristic of the grape varietal. This wine definitely needs food with it, probably better with richer seafood dishes. ​The Rías Baixas DO has been an official classification since 1988, with Albariño as its flagship wine. When you see Albariño on the front label, it's a guarantee that it's 100% in the bottle, according to Rías Baixas wine rules. Like other renowned white wine producing regions, such as the Loire Valley in France, the cool climate and mineral soils give rise to a vibrant, crisp, mineral, and aromatic wine, one which has captured the world’s palate.